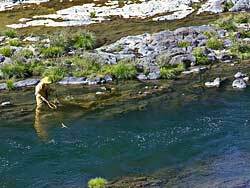 This Oregon panorama, an Umpqua River picture, shows a fisherwoman at work in this huge scenic. 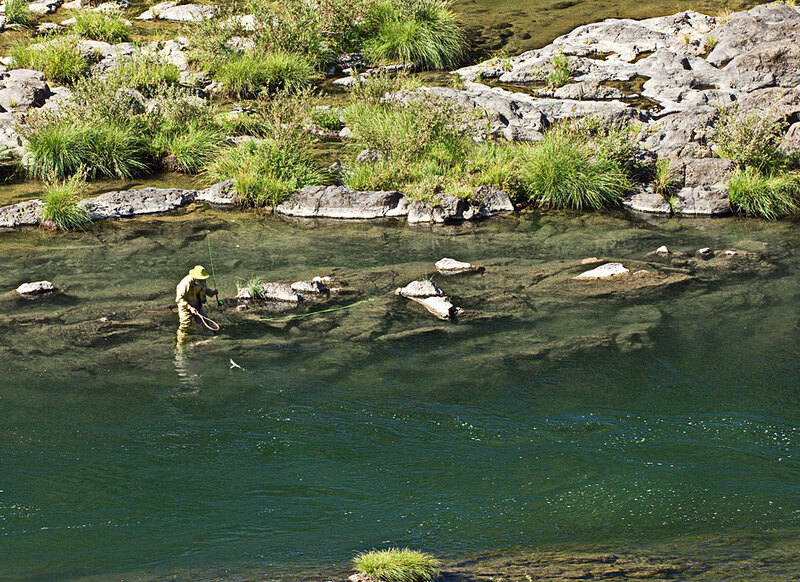 See the giant fish she's pulling from the water!! !